Orange is a fabulous color to use for fall decorating. It is warm and bright evoking the changing season. 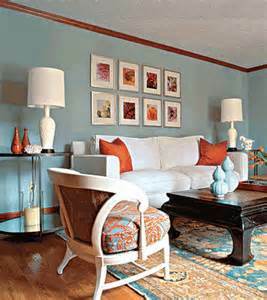 A light blue is a great color to pair with orange. 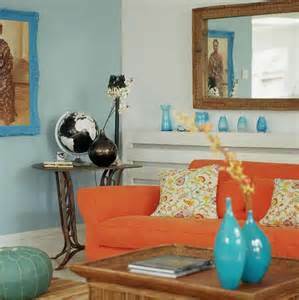 Light blue will cool the energetic orange down balancing the look. For more great ideas visit www.cheapchicdecor.com.